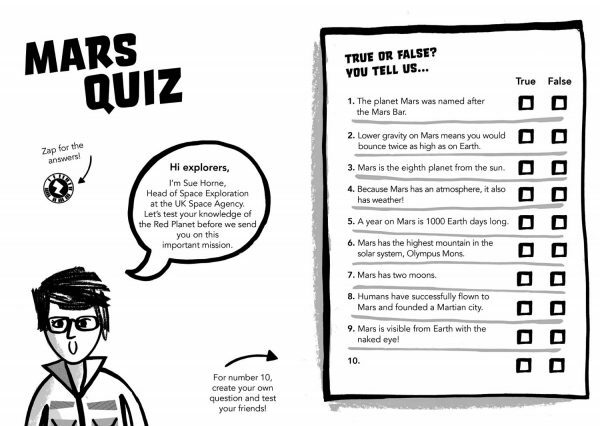 Scientists are particularly interested studying Mars because of evidence that life has existed there – or might even still exist. 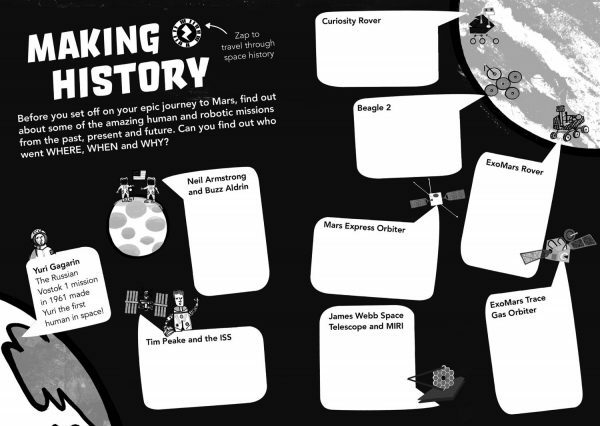 This activity asks students to research Earth and Mars and draw them side-by-side, focusing on ‘signs of life’. 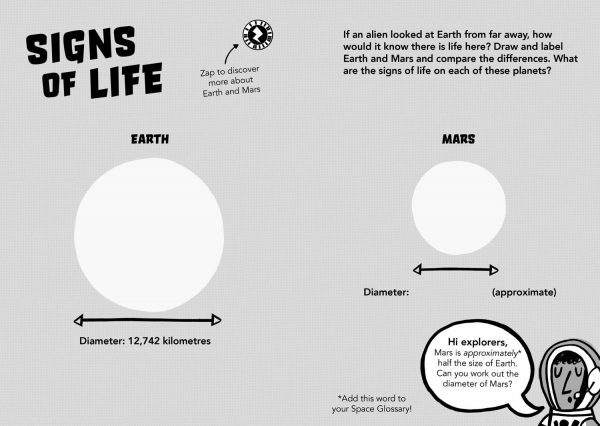 Comparing Earth with its neighbour Mars and drawing the differences will help students to understand the concept of life as we know it on Earth and what this means in the context of Mars.